I have blogged about how I do this a long time ago. But I am kind of ashamed of the post, it was one of my firsts... the pictures are upside down or sideways and it's just horrible. lol. SO, I'm going to go a little MORE in depth with better pictures and explanations. I mainly do it every day because for my first 11 years of teaching, I never knew what the home life was of my students, so I wanted to give them an opportunity EVERY day to read... because we know how important it is to read, right?! Anyway... I didn't want them to JUST read. I wanted it to mean something...to know that what we learn in class transfers to reading..and THAT's why we learn what we do. What I like to do is use the skill reading logs as daily classroom reading logs. I always do a mini-lesson before reading (a refresher of a skill we've already learned! ), and then while they read, they do a “book hunt” looking for words that match a skill. This usually takes a lot of practice in the beginning, but then becomes very easy and quick for them to do! 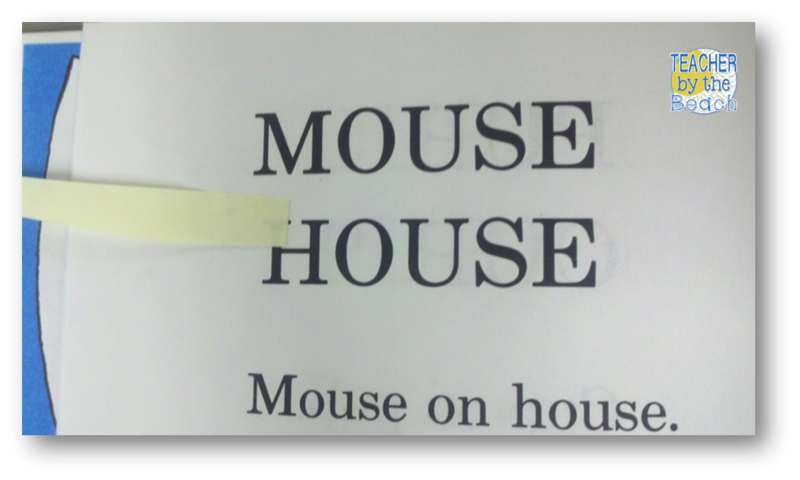 Here are some pictures of how I have my students keep track of the words they find or the problem, characters, setting and such. 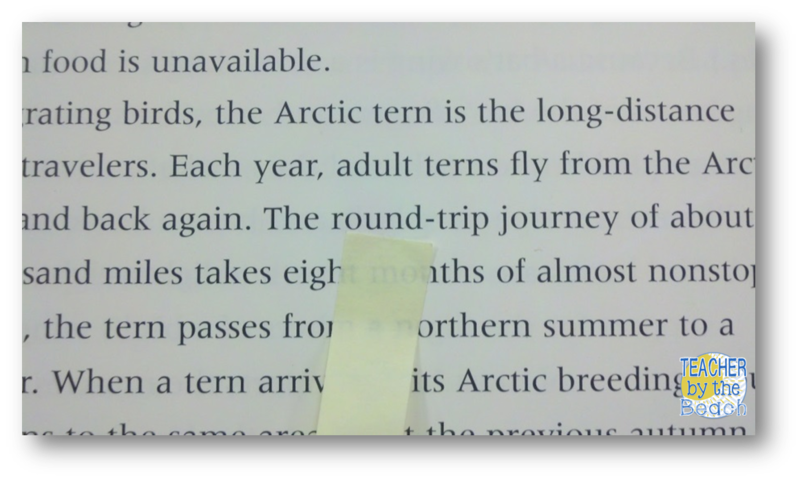 I cut up post-it notes into little strips and they use those to mark the spot to go back and find them. That way they don’t waste their time reading. After they finish reading, they go back to their seats and take a few minutes to fill out that day’s entry in their reading log. This will take some practice, but will eventually get pretty quick! After they write in their words, we will then spend a few minutes going over their “finds” in whole-group. A lot of times we’ll do tree maps (like shown above) and other times we might do a turn and talk with their shoulder partners. This part of the activity takes about 5-7 minutes. 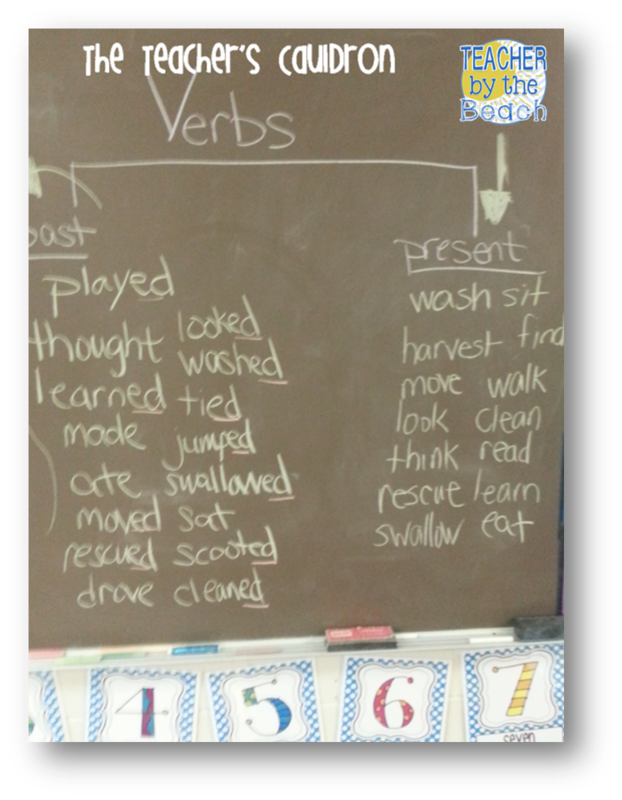 There are three different versions of the reading logs - Grammar, Reading, and Phonics Sills. And then there is a version of just monthly reading logs. 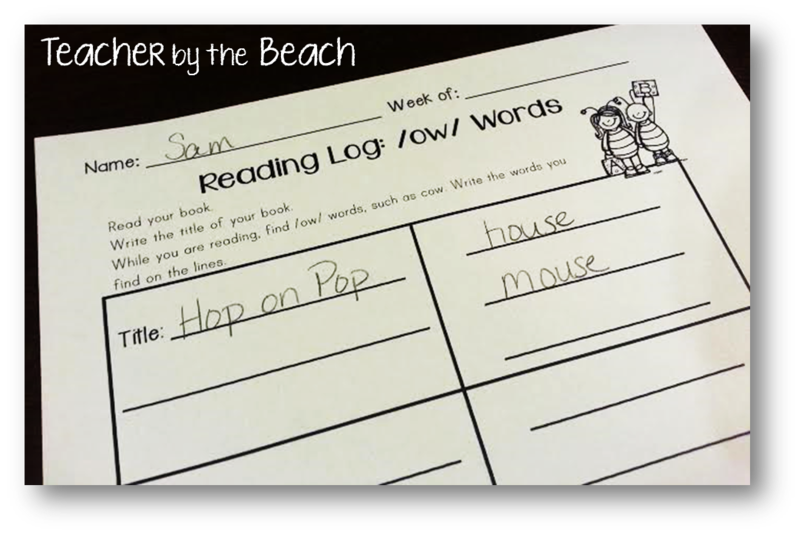 This gives you the opportunity to use the reading logs in SO many different ways! I personally, use the reading logs with skills IN my classroom and the monthly ones for home. There are a lot of skills that the parents may not know or completely get, so I just do those in class. BUT, I usually only do them as a review. 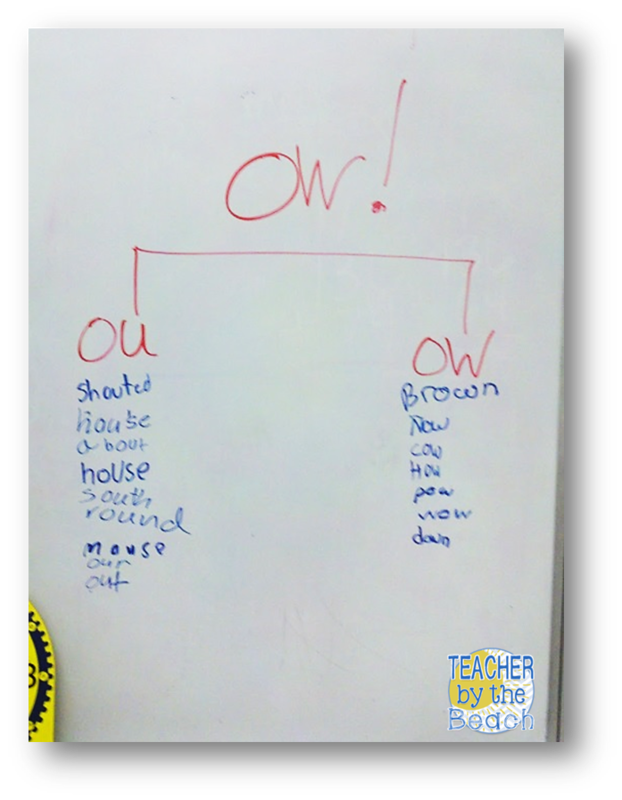 The same skill is on the reading log for the whole week; M-Th, or whichever 4 days you want to do! Sometimes we would have a computer day where our silent reading time was taken up, so then that's the day I would count as our "off day" on the reading log. Each Reading log type also comes with an A.R. Version...where you can record their A.R. points for the week! I liked doing this and then stapling their reading logs on top, and then you can flip through and see their progress. I gave my students a goal of 1 A.R. point a week...which translated into passing 2 picture books or chapter book a week...most of them did that, if not more! Here are some close ups of what each version looks like. For the "skills" logs, each version has the same image on them, so you can easily tell if it's a grammar, phonics, or reading skill. So, there you have it.... 125 pages of reading logs to help your silent reading, guided reading, or even your reading homework really count! well...250 pages if you count the A.R. files also included in the pack! You can check them out at my stores! I like the idea of making silent reading time more useful. :) My kiddos this year loved doing Read to Self but not whole class silent reading... I actually think they hated it. :( Maybe it was just the group or maybe they thought it was "pointless" (which multiple kiddos pointed out to me from time to time). I think having a "purpose" during this time would engage more of them!! Thanks for sharing! Love this! Just another one of your products I have to have! It is already in my cart.